Be the first to hear about their new releases and deals. Download the Booksprout app and search for Stephanie Summers today! 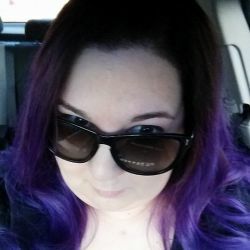 Stephanie Summers has written several books including The Willow Creek Vampires Series, The Bludworth Chronicles, and The Take Me Duet under the pen name Scarlett Alexander, with several more books in the works. She's a wife, and a mom to two kids, two dogs, and a cat. When she isn't busy running Casa de Summers, you can usually find her in her pajamas working on her next book.